Although the 10:30 worship is referred to as “traditional” it would be more accurate to dub it “blended.” The music during worship includes everything from Bach, Handel and Mozart to spirituals and contemporary music. The Chancel Choir serves as worship leader every Sunday from September to June. They rehearse weekly on Thursday evenings and, in addition to leading worship, offer special anthems each week. 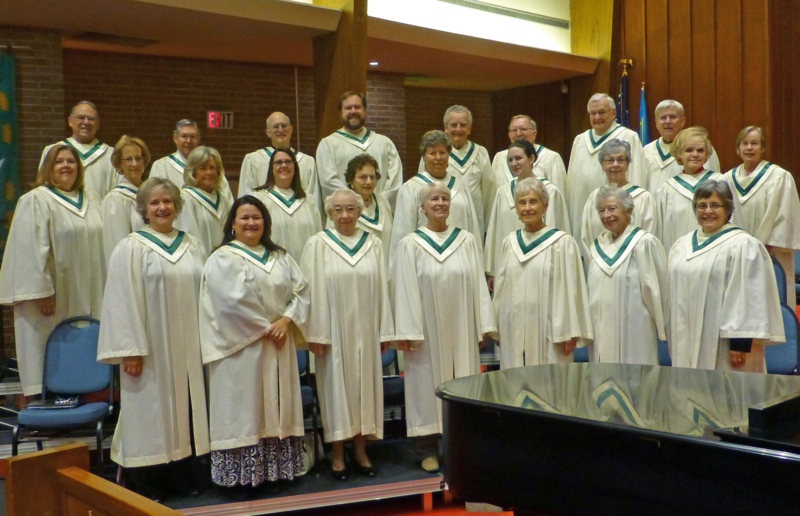 There are four big “music” Sundays offered by the choir where music serves as the focus of worship, even offering an alternate form of preaching – through music. These special Sundays include: Hymn Festival (Reformation Sunday), Advent Cantata, Lent/Easter Cantata and Spirit of Music Sunday in June. 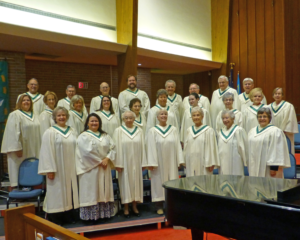 The Chancel Choir is always looking for more members, so if you are interested please join us on Thursday evening at 7:15 pm in the lower sanctuary choir room. 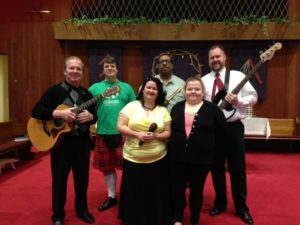 The Praise Team at First Presbyterian leads the 9:00 am Praise Worship Service with a selection of songs and music form the latest Christian artists to complement and inspire the congregation by aligning with the theme of the sermon and scripture readings. The Team meet each Sunday at 8:00 am to prepare for the coming service. The Carillon Ringers are an enthusiastic group of individuals who enjoy rehearsing, playing for church, and performing for various festivals and other settings outside of the Church. The Ringers play monthly for Worship, and occasionally accompany the Chancel Choir. The music is selected from a variety of styles and difficulty levels, and usually calls for 5 octaves of handbells, played by 12-13 people. However, occasionally, music will be played that only require 3 to 6 ringers. The Carillon Ringers are a welcoming group of people – who are patient with new players. We are always seeking additional ringers, who are interested in learning about handbells, and eventually being a substitute or regular ringer. With just a few additional ringers, we could have a 2nd bell choir, playing an easier level of music. If you are interested, please contact Steve Breffitt (sbreffitt@aol.com), or any of the ringers as soon as possible. We would love to have you join us!